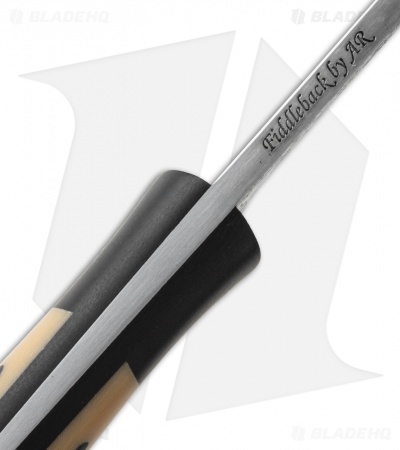 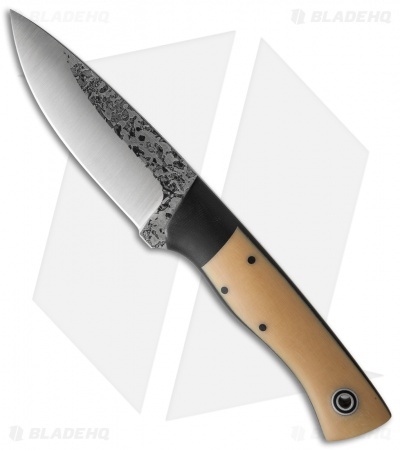 Fiddleback Forge's Hunter fixed blade is a delight in the outdoors with its great size and comfortable shape. 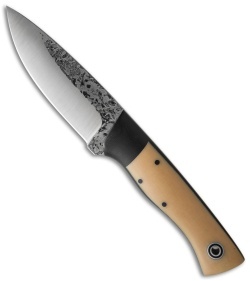 The handle features black Micarta bolsters and antique bone Micarta scales. Its O1 steel blade is convex ground and tapered down the handle. Sheath not included.